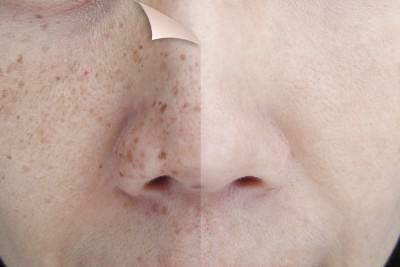 Skin rejuvenation treatments can diminish wrinkles, fine lines, sun spots, and more. The Rejuvenate skin care specialists at Capital Women’s Care in Fulton, Maryland, offer a broad spectrum of treatments from microneedling to Laser Genesis™ and state-of-the-art skin care products. Restore volume and improve texture with the best in cosmetic technology. Visit Rejuvenate for your customized treatment plan: Call or schedule your consultation online today. Skin rejuvenation is a term commonly used in the cosmetic world that refers to a collection of treatments aimed at refreshing your skin and improving an array of skin conditions and aesthetic concerns. You can achieve skin rejuvenation in many ways, from Laser Genesis and state-of-the-art laser treatments to skin care products and microneedling. Sun damage, aging, and genetics can all play a role in causing or exacerbating these skin concerns, but cosmetic skin rejuvenation treatments can help reduce and even eliminate them. Skin rejuvenation typically focuses either on the entire face or specific areas of the face, such as crows’ feet around the eyes and fine vertical lines around the lips. Most skin rejuvenation treatments require a series of sessions with time in between for your skin to heal and recover. Which skin rejuvenation treatments are available? The Rejuvenate specialists offer a range of skin rejuvenation treatments. IPL delivers light energy to target cells with color in your skin. The light converts to heat energy and damages the area to prompt collagen and elastin production, diminishing brown spots, hyperpigmentation, and improving texture and volume. The Pellevé system uses radiofrequency laser energy to plump, smooth, and tighten your skin. Microneedling involves fine needles that puncture tiny holes in your skin to promote your body’s healing response and collagen and elastin production. Microneedling can also be performed with PRP, platelet-rich plasma, or hyaluronic acid to enhance results. Dermal fillers are injections that plump lips and cheeks, restore volume, and decrease fine lines and wrinkles. The Rejuvenate specialists offer Botox®, Juvéderm®, Xeomin®, and Kybella®. NeoCutis® and iS Clinical® skin care products can also help revitalize and rejuvenate your skin, improving texture and reducing textural irregularities. How do I know what skin rejuvenation treatment is right for me? Your Rejuvenate skin care specialist discusses the various options with you at your consultation and evaluates your skin to help you determine the right course of treatment. How you care for your skin at home impacts how long the results of your treatments can last. Most treatments are long-lasting and highly effective. Call or book an appointment online and give yourself the well-deserved gift of skin rejuvenation.